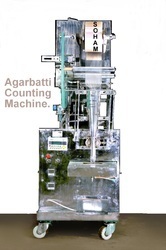 We are among the renovated manufacturers and exporter of Agarbatti Making Machines, Flora agarbatti making machine. 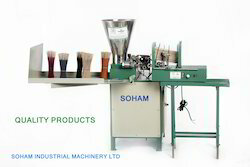 These are highly efficient machines that have been manufactured from premium quality raw materials. 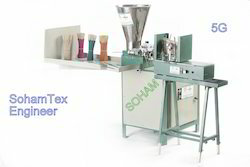 Free:Contacts of raw material supplier, material mixing formula, machine operating, general maintanance of machine. 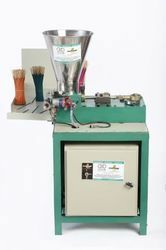 This machine called Computerized Software Incense Agarbatti Making Machine. any type of polish bamboo sticks Square and Round use. Fully maintenance free machine. Counting: 8”-1000 pieces & 9”- 850 pieces. 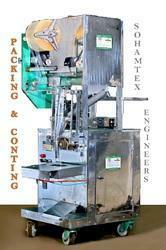 Machine Speed: up to 2400 pack/HR. (Depends on size & Qty).Electric control panel With Stepper motor & PLC. Auto stop when raw incense was finished.Main Motor: 1.0 HP Single Phases. (With AC Drives)Req. Power: 2 HPLength of packing: 8” to 10”Diameter of Incense: 3mm to 5 mm.Packing Roll width: 80 to 120 mm.No. of sticks: 5 to 20 sticks/pouch. (30pcs.-15 pack. )(40 pcs.-12pack), (50 pcs.-10), (60 pcs.-8), (70 pcs.-6), (75pcs.-5)Film Thickness: 0.02 -0.06 mm.Packing material: BOPP.Machine weight: 250 Kg.Free: Training of machine operation and general maintenance.Free: 1 tool set.Warranty: 9 months in Main motor, Ac drive, PLC and stepper motor.This machine designed by our Engineer.This machine is produced by our technical staff. (Not import from another country.) Easy to operate & low maintenance.Made in India. Production Capacity: 5 to 75 sticks/batch.